So apparently my image editing software won’t run on Dad’s computer. This cancels the comic reviews and anything I might need an image for, including Jake & Leon. Hopefully I’ll have my computer back soon, but until then I’m going to finish the week with Filler Videos. 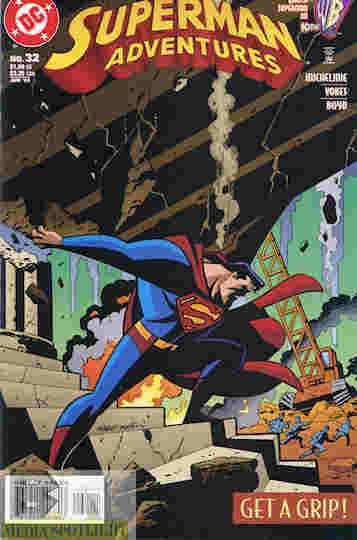 And of course whenever I see a defense of Superman I love to show it off. Superman is my favorite DC hero and the treatment he’s gotten lately, from Zac Snyder to Brian Michael Bendis, makes me unhappy. One of the many complaints from the “cool kids” is that Superman is overpowered. Unlike Batman, who knows every form of martial arts, has tons of gadgets, and supposedly could defeat God with enough “prep time”, whatever they mean by that. But Superman is not overpowered, at least when written correctly. I’ll let Professor Geek explain. If you want to see more about how great Superman and other superheroes are, check out his YouTube channel. And I remind you we’re reading the novelization of a comic story where Superman died. He got better, but only thanks to space tech and it was a one-time use. Posted by ShadowWing Tronix on September 19, 2018 in DC Spotlight and tagged commentary, Professor Geek, Superman.